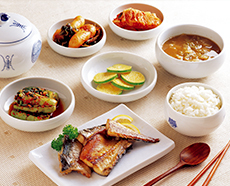 Hansik refers to traditional Korean food, centered on rice, served alongside a bowl of soup and a variety of side dishes. Most foods use meat and vegetables as the main ingredients, and are boiled or steamed in brine or water rather than fried in oil, making hansik very healthy. More than anything else, hansik's most outstanding feature is the amount of fermented foods. 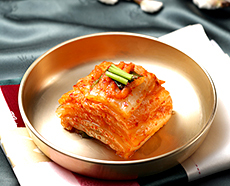 The most well-known are kimchi (fermented cabbage), ganjang (soy sauce), doenjang (soybean paste), and gochujang (Korean chili paste). 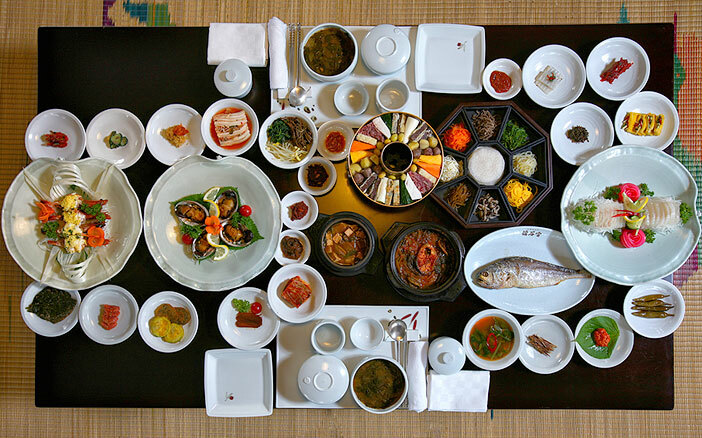 Popular dishes among international visitors include bulgogi, bibimbap, and hanjeongsik (Korean table d'hote). 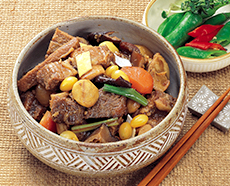 Bulgogi is a marinated beef or sometimes pork dish that is sweet and tender in texture. In particular, the soy sauce seasoning is not spicy, thus making it a great introductory dish to hansik. Bibimbap, on the other hand, is a complete meal in and of itself. It is made by mixing rice with all kinds of vegetables and then topped with gochujang for that extra kick. Hanjeongsik is served as a full table's worth of side dishes featuring meat and vegetables along with soups, steamed foods, and hot pots. This is a popular choice for visitors looking to try a little bit of everything. * This page was last updated on September 18, 2018, and therefore information may differ from what is presented here.